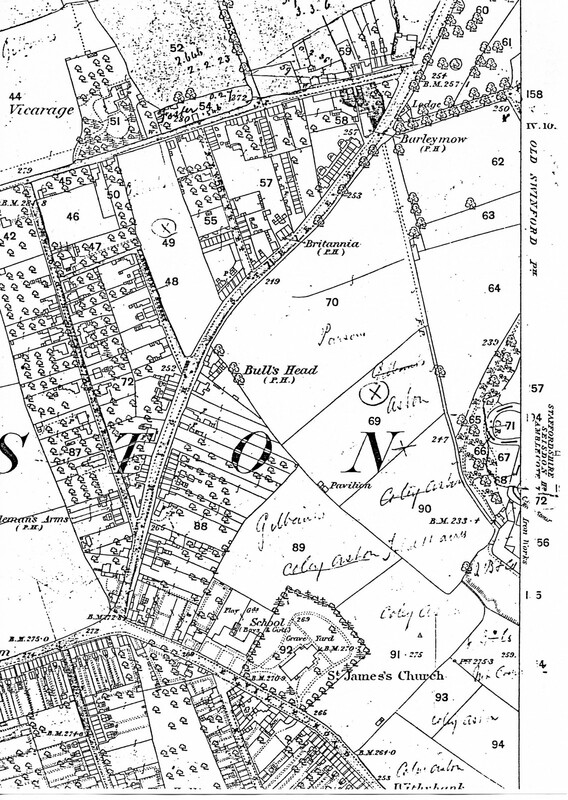 Wollaston map showing St James’s Church, the school and the master’s house dated 1885. The church and schools were built in what was the centre of the village and opened in 1859 and 1860. The church and church yard are clearly shown and the school building is next to the church. The house immediately next to the school was built and lived in by the headmaster of the Boys’ School. The playgrounds behind the schools have a dividing wall to keep the older boys and girls apart. 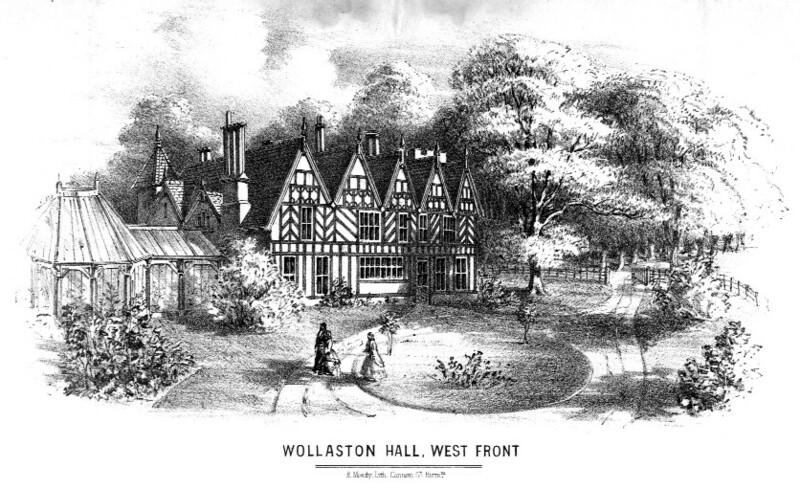 The master’s house had a long garden and was big enough to house the family and occasionally pupils attending the school. Next: The Reverend George Gilbanks, the first Vicar of Wollaston.